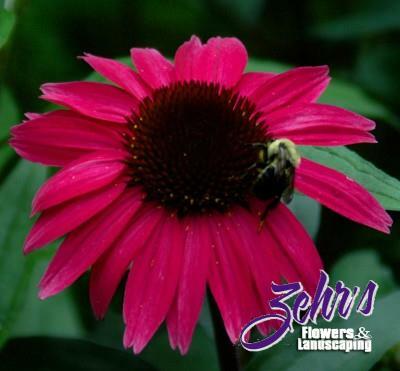 A dwarf coneflower with strongly fragrant, brilliant magenta blooms and a reddish black cone. Ideal for containers or the front of the border. Attracts butterflies and bees. Songbirds enjoy the dried seeds in fall and early winter. Deer tend to leave this plant alone. Plant in any moist, well-drained garden soil exposed to full sun, and keep it well-watered and fed the first season or two. Once established, it is wonderfully tolerant of heat, cold, and even drought. Excellent cut flower. Bred by the Saul brothers of Itsaul Plants, Georgia.